Your subject preferences for our blog? Going into 2019, we all -in the Borrow My Brain team- want to offer more value and practical learning subjects to our readers. This is why we urge you to give us feedback with an anonymous questionnaire! 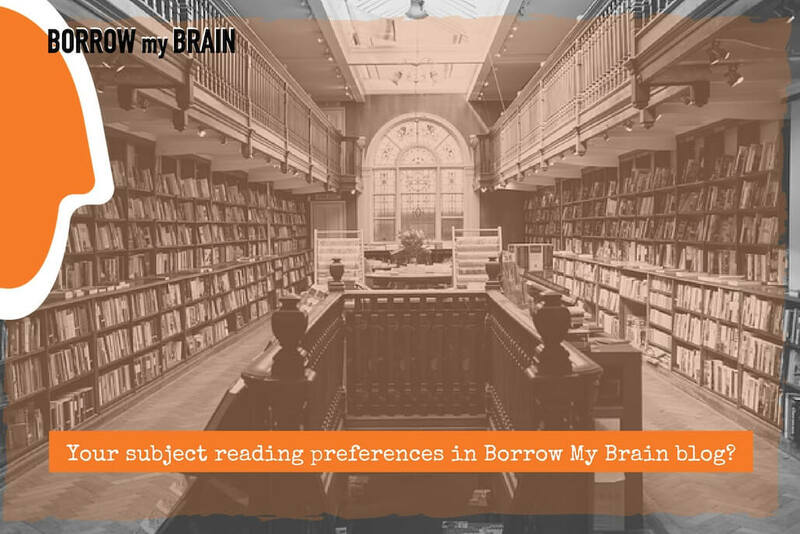 What would you like to read more from Borrow My Brain in 2019? Thank you all for your input and contribution. The world of blogging for business issues is already very competitive and demanding, for quality, authenticity and value-add. There are so many good writers and knowledgeable people out there. With Borrow My Brain we try to facilitate knowledge sharing and stimulate their on-going transformation (that so many business owners, marketers and talent go through). In order to succeed in this effort, we need to hear our readers. You, dear reader, are the only scope and reason for being. As of January 2018, we test and re-test everything we do in services, e-books, events, e-courses, partnerships, and customer projects’ delivery. To make those impeccable. Unique. Valuable. Now, it is the time to do the same for our blogging. We don’t tell ourselves that we are good writers. We try to be. We don’t tell ourselves what a great blog we have due to clear and modern branding and colour systems, or fonts. Old-school! We are asking every day how do we make sure that our readers get something of value, in return of their precious time. That is our blog success metric. You can also find it here online.